The Loch Ness Monster, sometimes called "Nessie" or "Ness" (Scottish Gaelic: Niseag) is a creature or group of creatures said to live in Loch Ness, a deep freshwater loch (lake) near the city of Inverness in northern Scotland. Nessie is generally categorized as a lake monster. Along with Bigfoot Nessie is one of the best-known mysteries in cryptozoology though most mainstream scientists and other experts find current evidence supporting Nessie unpersuasive and regard such reports as hoaxes or misidentification of mundane creatures. Carvings of this unidentified animal, made by the ancient inhabitants of the Scottish Highlands some 1,500 years ago, are the earliest evidence that Loch Ness harbors a strange aquatic creature. This resembles the stone carvings of the Chupacabra. Rumors of a monster, or animal, living in the loch are claimed by believers to have been known for several centuries, though others have questioned the accuracy and reliability of such tales, which were generally unknown before the 1960s. The earliest claimed reference is taken from the Life of St. Columba by Adamnan. It describes how in 565 Columba saved the life of a Pict, who was being supposedly attacked by the monster. Critics have questioned the reliability of the source, noting a different story in which Columba slays a wild boar by the power of his voice alone. They also point out that the event is said to have occurred on the River Ness, not in the Loch, and that Adamnan reports Columba encountering and conquering assorted "monsters", at various places in Scotland, throughout his "life". Additionally, they point out that the Loch Ness monster has no other reported instance of attacking anyone, and in fact is generally portrayed as shy and people-avoidant. The first modern sighting occurred on May 2, 1933. The newspaper Inverness Courier carried a story of Mr. and Mrs. John Mackay, who reportedly saw "an enormous animal rolling and plunging on the surface." The report of the "monster" (a title chosen by the editor of the Courier) became a media sensation with London papers sending reporters to Scotland and a circus, even offering a reward of 20,000 pounds for capture of the monster. Later that year, A.H. Palmer, who allegedly witnessed Nessie on August 11, 1933, at 7 a.m., described the creature as having its head, which they saw from the front, set low in the water. Its mouth, which had a width of between twelve and eighteen inches (30-45 cm), was opening and closing; its maximum mouth aperture was estimated to be about six inches (15 cm). 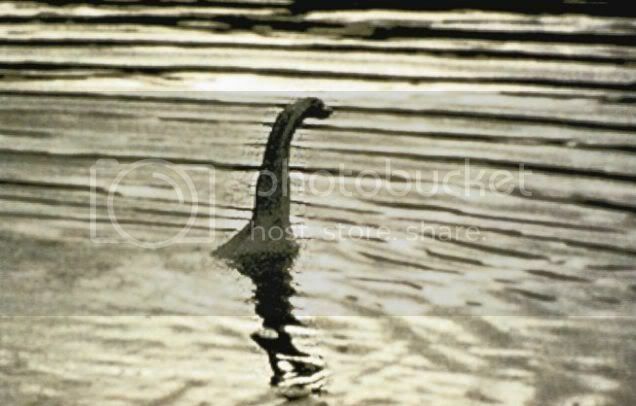 The modern preoccupation with the Loch Ness Monster was aroused by a photograph allegedly taken by surgeon R.K. Wilson on April 19, 1934, which seemed to show a large creature with a long neck gliding through the water. Decades later, on March 12, 1994, Marmaduke Wetherell claimed to have faked the photo after being hired by the Daily Mail to track down Nessie (the photo had by that time been printed worldwide as "absolute evidence"). Wetherell also stated that Wilson did not take the photo, and his name was only used to give added credibility to the photo. Regardless of whether anything is actually in the loch, the Loch Ness Monster has some significance for the local economy. Dozens of hotels, boating tour operators, and merchants of stuffed animals and related trinkets owe part of their livelihood to this monster, although people visit the loch for many reasons other than to see the monster. Hence, the legend is likely to endure for quite some time. In 1962 The Loch Ness Investigation Bureau was formed to act as a research organization and clearing house for information about the creature. In the beginning it only conducted research for a few week in the year, but by 1964 they established a more permanent presence around the Loch. Eventually the Bureau established camera stations with both still and cinema cameras with telephoto lenses. They had vans which served as mobile camera stations, and underwater listening devises. Searches were conducted using hot-air-balloons and infrared night time cameras, sonar scanners and submarines. A great deal of information was discovered about the Loch, but they have yet to produce any concrete evidence of a monster. Loch Ness is located in the North of Scotland and is one of a series of interlinked lochs which run along the Great Glen. The Great Glen is a distinctive incision which runs across the country and represents a large geological fault zone. The interlinking was completed in the 19th century following the completion of the Caledonian Canal. The Great Glen is more than 700 ft (213 m) deep and ice free. It is fed by the Oich and other streams and drained by the Ness to the Moray Firth. It forms part of the Caledonian Canal. By volume, Loch Ness is the largest freshwater lake in Great Britain. Since Dec., 1933, when newspapers published accounts of a 'monster,' 40 to 50 ft (12-15 m) long, said to have been seen in the loch, there have been alleged sightings. Most of the Nessie witnesses describe something with two humps, a tail, and a snakelike head. A V-shaped was often mentioned, as well as a gaping red mouth and horns or antennae on the top of the creature's head. Nessie's movements have been studied, and the films and photos analyzed to determine what Nessie might be, if she exists. Most accounts of Nessie's appearance, including historical ones, indicate a creature resembling the long-extinct plesiosaur. Actual fossil evidence for this Mesozoic creature shows it to have been physically large, with a long neck and tiny head, with flippers for propulsion. The alleged connection of this creature with the Loch Ness monster has made it a popular topic in the field of cryptozoology. However, most scientists suggest the idea that the Loch Ness Monster is a remnant of the Mesozoic era is highly unlikely; there would need to be a breeding colony of such creatures for there to have been any long-term survival, and coupled with the fact that plesiosaurs needed to surface to breathe, this would result in far more frequent sightings than have actually been reported (some animals, such as crocodiles, that need to breathe air intermittently, can stay underwater for extended periods of time by remaining still and conserving its oxygen supply). Many biologists also argue Loch Ness is not large or productive enough to support even a small family of these creatures. Moreover, the loch was created as the result of geologically recent glaciation and was frozen solid during recent ice-ages. Other sightings, however, do not fit the plesiosaur description or even a water-bound creature: In April 1923, Alfred Cruickshank claimed to have seen a creature 3 m to 3.5 m long, with an arched back and four elephant-like feet cross the road before him as he was driving. Other sightings report creatures more similar to camels or horses. Theories as to the exact nature of the Loch Ness Monster sightings are varied: pareidolia or misidentification of seals, fish, logs, mirages, seiches, and light distortion, crossing of boat wakes, or unusual wave patterns. Very large sturgeon have been found in inland streams close to Loch Ness, and due to sturgeons' size and unusual appearance, one could easily be mistaken for a monster by someone not familiar with it. A recent theory postulates that the "monster" is actually nothing more than bubbling and disruptions in the water caused by minor volcanic activity at the bottom of the loch. This latter argument is supported to a minor degree by a correlation between tectonic motion and reported sightings. Some researchers, notably John Keel, F.W. Holiday, A. Winchester Beebe (otherwise known as the Buffalo musician Nikki Christmas), and Jon-Erik Beckjord, postulate that there are no anomalous physical creatures within the loch. Because of the complete absence of physical evidence, these researchers argue that many of the reported sightings can be attributed to hoaxes or misidentification of conventional creatures and objects. They also argue that a small residue of reported Loch sightings could be paranormal, or supernatural in nature, i.e., having a temporal semi-physical construction, similar to other anomalous phenomena such as Bigfoot and UFOs. Some have argued a history of "monster" sightings in the loch is circumstantial evidence supporting the creature's existence. Note that these notions have been challenged. In the early 1970s, a group led by American patent lawyer Robert Rines obtained some underwater photographs. 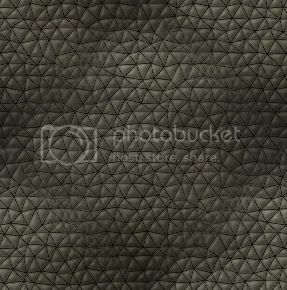 One was a vague image, perhaps of a rhomboid flipper (others have argued the object could be air bubbles or a fish fin). On the basis of this photograph, Sir Peter Scott, one of Britain's best-known naturalists, announced in 1975 that the scientific name of the monster would henceforth be Nessiteras rhombopteryx1 (Greek for "The Ness monster with diamond-shaped fin). This would enable Nessie to be added to a British register of officially protected wildlife. It has been noted by London newspapers that Nessiteras rhombopteryx is an anagram of "monster hoax by Sir Peter S." Monster-hunter Dr Robert Rines replied that the letters could also be rearranged to spell "Yes, both pix are monsters--R."
The underwater photos were obtained by painstakingly scouring the loch's depths with sonar, over the course of days, for unusual underwater activity. An underwater camera with an affixed, high-powered light (necessary for penetrating Loch Ness' famed murk) was then deployed to record images from below the surface. Several of the resulting photographs, despite their obviously murky quality, indeed seem to show an animal quite resembling a plesiosaur in various positions and lightings. A few close-ups of what is alleged to be the creature's diamond-shaped fin were also taken, in different positions, indicating movement. Perhaps typical of the many unsatisfactory "facts" about Nessie is the alleged sighting of October 1871. In this incident, "D. Mackenzie" supposedly described seeing something that moved slowly before moving off at a faster speed. People who saw "the monster" were said to describe it as having a hump (sometimes more than one) that looked like an upturned boat. However, although this story has been repeated in several places, no original 1871 source has been cited, casting doubt on the report. This famed "Surgeon's Photo" was confirmed a hoax, based on the deathbed confessions of Chris Spurling, son-in-law of Marmaduke Wetherell. Spurling claimed the photo, which inspired much popular interest in the monster, was actually a staged photograph of clay attached to a toy submarine. Wetherell, a big game hunter, had been tricked into searching for an imaginary monster around the loch based on evidence which turned out to be the result of children's prank. He was publicly ridiculed in the Daily Mail, the journal which employed him. To get revenge, Marmaduke Wetherell set this hoax up, with the help of Chris Spurling (his son-in-law as mentioned), who was a specialist in sculpture, Ian Marmaduke (his son), who bought the material for the fake Nessie, and Maurice Chambers (an insurance agent), who was to call and ask Robert Wilson (a surgeon) to show the pictures. Well before Spurling's claims, however, others had argued the photo was that of an otter or a diving bird. Note that there are in fact two "Surgeon's Photos," which depict slightly different poses, leading some to argue the photos are evidence against a hoax. Also interesting to point out is that the surgeon who was credited for taking the photo never claimed he hadn't taken it either. The Great Glenn is an enormous gash in the earth that splits the Scottish Highlands in two. It forms a chain of rivers, canals and lakes, (or lochs), that connect the North Sea with the Atlantic Ocean. One of these lakes, Loch Ness, is the home of perhaps the most famous cryptozoological riddles of our time. Loch Ness, the largest freshwater lake in the British Isles, is twenty four miles long and, at one point, one and a half miles wide. It has an average depth of four hundred and fifty feet and at times plunges close to a thousand. It is cold and murky, with dangerous currents. In short, it is the perfect place to hide a monster from even the most prying eyes of science. Many bodies of water in Northern Scotland have ancient legends about monsters that were never written down. A tale that supposedly occured in 565 A.D. tells of Saint Columba who saved a swimmer from a hungry monster in the Ness river. This story was recorded in the book The Life of Saint Columba sometime in the late 7th Century and is often connected with later sightings in the in the nearby lake. In 1933 after a new road was built along the edge of the Loch, the number of reports soared. The first of these came on April 14 when the owners of an inn in Drumnadrochit, the Mackays, observed an "enormous animal "rolling and plunging" in the Loch. They reported itto Alex Campbel, the man in charge of regulating salmon fishing in the Loch. Campbel spent a lot of time at the lake and observed the monster himself several times after being told of the Mackay sighting. Campbel described the creature as having "a long, tapering neck, about 6 feet long, and a smallish head with a serpentine look about it, and a huge hump behind..." Campbel estimated the length of the "monster" to be about thirty feet. The first photograph of the thing was taken in 1933 by Hugh Gray. Gray reported, "I immediately got my camera ready and snapped the object which was then two to three feet above the surface of the water. I did not see any head, for what I took to be the front parts were under the water, but there was considerable movement from what seemed to be the tail." Probably the most famous picture of the Loch Ness monster was the "surgeon's photo" supposedly taken by Colonel Robert Wilson in 1934. It shows a long, thin neck rising above the water connected to a hump-like body. This photo is thought to be a fake, though, after the confession of Christian Spurling who helped build the model monster that was photographed. He admitted the hoax shortly before he died in 1993 at age 90. Early in 1934 there was a land sighting of the beast. Arthur Grant, a young veterinary student, was out on his motorcycle one evening when he almost ran into the monster as it crossed the road. Grant's description of the thing, small head, long tapering neck and tail with a bulky body and flippers, seemed to match the appearance of the plesiosaurus. The plesiosaurus, an aquatic, reptilian contemporary of the dinosaurs, was thought to have been extinct for at least 65 million years. In April of 1960, Tim Dinsdale, while visiting the lake, captured the first moving picture of the monster. Though the film shows little, a group of Royal Air Force photographic experts pronounced that the object was "probably" animate and as long as ninety feet. Skeptics argued that the thing was probably a motorboat. Dinsdale was convinced enough by his own pictures to give up his career as an aeronautical engineer and devote the next twenty years of his life to finding the monster. Though Dinsdale was rewarded with two more sightings of the creature, he was never able to gather incontrovertible proof of its existence. The next major event for Nessie was a study of the Loch Monster started in 1970 by the American Academy of Applied Science. The group, headed by Dr. Robert Rines, used automatic cameras and sonar to monitor the Loch. In 1972 one of the underwater cameras got four frames of what appeared to be a flipper six to eight feet long. One night Peter Davies, a member of Rines' team, was out in a small boat in the Loch when he had a close encounter with the beast. He detected it under his boat with sonar. "I don't mind telling you it was a rather strange feeling," said Davies, "rowing across that pitch black water knowing that there was a very large animal just thirty feet below. It was the sheer size of the echo trace that was frightening." Though the photograph most often seen by the public seems to clearly show something that looks like the diamond-shaped fin of a olesiosaurus, some photographic experts have argued that the image has been retouched. In the original images the interpretation is much more ambiguous. In 1975 one of the team's cameras captured a vague and fuzzy image that could be interpreted as the face of the beast. "I thought that would clinch it," remarked Rines," but as you know, it didn't at all." The photograph, known as the "gargoyle head," was identified by a later expedition as the remains of a tree stump. Various researchers have employed sonar to find the monster with varying results. In 1968 professor DG Tucker of the University of Birmingham tested a prototype sonar at the Loch. The transducer was mounted at one side of the lake, pointing at the opposite side so that any objects passing through its beam would be detected. During a two-week period, multiple animate objects 20 feet in length were detected moving up and down from the loch bottom to midwater, but never surfacing. The size and movement did not seem to match that of any known fish. Tucker even declared, "The high rate of ascent and descent makes it seem very unlikely that they could be fish, and fishery biologists we have consulted cannot suggest what fish they might be. It is a temptation to suppose they might be the fabulous Loch Ness monsters, now observed for the first time in their underwater activities!" A year later Andrew Carroll, a researcher for the New York Aquarium used sonar from his research launch Rangitea to sweep the Loch and picked up a strong echo of an animate object estimated to be twenty feet in length. Neither object found by Carroll or by Tucker were ever definitely identified. Roy Mackal, a biologist at the University of Chicago who was interested in cryptozoology, built a system of underwater microphones and placed them in the loch to see if he could detect any sounds the monster might make. "Bird-like chirps", "knocks" and "clicks" were recorded along with a swishing sound which Mackal thought might be the sounds of an animal echolocation to find and hunt its prey. Mackal noted that the sounds stopped whenever a boat passed by and resumed after it had reached a safe distance. The most recent sonar exploration of the Loch was in 2004 when an expedition from the BBC used 600 sonar beams to probe the Loch from end-to-end. They could detect no sign of a large living animal in its waters. Efforts have continued to find the monster. A small submarine was even used to explore the depths of the lake, but no convincing evidence was found. There is certainly not a single Loch Ness monster. If there truly is something strange living in the lake there must be a breeding population, perhaps anywhere from a dozen to a hundred individuals. There are a few photographs which seem to show more than one of the creatures together. If there really is a population of monsters in Loch Ness, what are they? Some of the evidence, like the vet student's sighting, point to the plesiosaur. Mackal has suggested a large mammal like a manateeor azeuglodon(primitive whale). Others suggest an unknown species of long-necked seal or giant otter. Earlier, Mackal also considered it might be a giant sea slug. A few researchers suggest an over grown eel. Skeptics argue that the water in the Loch is too cold for a reptile like the plesiosaur though recent studies suggest that some dinosaurs, and therefore perhaps the Plesiosaur, were warm-blooded. They also argue an air-breathing animal like a plesiosaur or even a whale or seal would spend much more time on the surface than this creature seems to and would be spotted more often. Any population of warm-blooded creatures would also require a large food source. The fish population in the Loch, while larger than originally thought, still seems inadequate to support a large group of warm-blooded predators. Some scientists have wondered if the sightings might be caused by an underwater wave which is known to sometimes occur in deep, long, cold lakes, like Loch Ness. Standing waves, also known as seiche, can be caused by the wind piling up a layer of warm water at the end of the loch which forces the underlying cold layer to the opposite end. The wave is not visible on the surface, but moves underwater with the interaction of the layers. Such a wave might be powerful enough to push debris to the surface that might look like a strange animal. Another theory forwarded by Dr Maurice Burton suggests that logs of scotch pine that have fallen into the lake may decay, creating gas inside the wood which cannot initially escape because the resin in the bark seals it in. As the pressure builds, however, the seal can rupture, propelling the log through the water and even to the surface. This may account for some of the sightings. Unfortunately, the history of the Loch Ness monster is filled with people creating hoaxes. In 1933, Marmaduke Wetherell, who himself was thought to be responsible for the famous Surgeon's Photo hoax, was himself hoaxed when he found the footprint of a large animal in the mud along the shore of Loch Ness. The mark was created using a dried hippo foot that was probably part of an umbrella stand. The incident, reported in the Daily Mail, humiliated Wetherell, who later got his revenge when his fake "Surgeon's Photo" appeared in that same publication. One of the clearest photos of the Loch Ness monster was taken by Anthony 'Doc' Shiels in May of 1977. The picture is so clear, however, it immediately makes experts skeptical and has been referred to in some circles as "the Loch Ness Muppet." Shiels himself, a self-styled physic, has said that while he definitely takes photos of lake monsters, he doesn't believe in them. As recently as March, 2005, two American students visiting the Loch claimed to have found a gigantic tooth stuck in the carcass of a deer. However, the object was actually the antler of a roe muntjac deer, not a Nessie fang. The whole story turned out to be a marketing ploy for an upcoming horror novel entitled The Loch, written by author Steve Alten. Nessie has entered popular culture and is a symbol recognized around the world. In addition to appearing in Alten's book, Nessie has been featured in many films. This includes appearances as dangerous killer in The Loch Ness Horror (though in reality nobody has ever claimed they have been injured by the creatures), a secret submarine in the film The Private Life of Sherlock Holmes and, most recently, a child's magical friend in The Water Horse: Legend of the Deep. If the monster truly exists and is not a hoax or a publicity stunt, it is extremely elusive. No bones or remains have ever been, found and short of draining the Loch, it seems impossible to disprove the existence of the creature. We can only wait and see if time and patience, with a little luck, solves this most mysterious riddle. The Altamaha-Ha.This creature lives in the Altamaha River near Darien, Georgia. It has been sighted numerous times, at least since the '60s, by fisherman and other witnesses. Champ. Lake Champlain in northeast New York State is the home of Champ. Most sightings describe a 15- to 25-foot creature with a "long sinuous neck" and a dark-colored body with one or more humps. Lake Van Monster. In June of 1997, video was taken of some kind of creature in Lake Van in eastern Turkey. A brief story and QuickTime movies of the video footage can be seen at this CNN news story. Memphr�. Lake Memphr�magog, which straddles the U.S.-Canadian border about 70 miles east of Montreal, is the home of Memphr�. The earliest sightings of this creature, which resemble those of Nessie, date back to 1847. Jacques Boisvert has created a Web sitedevoted to the creature. Nahuelito. 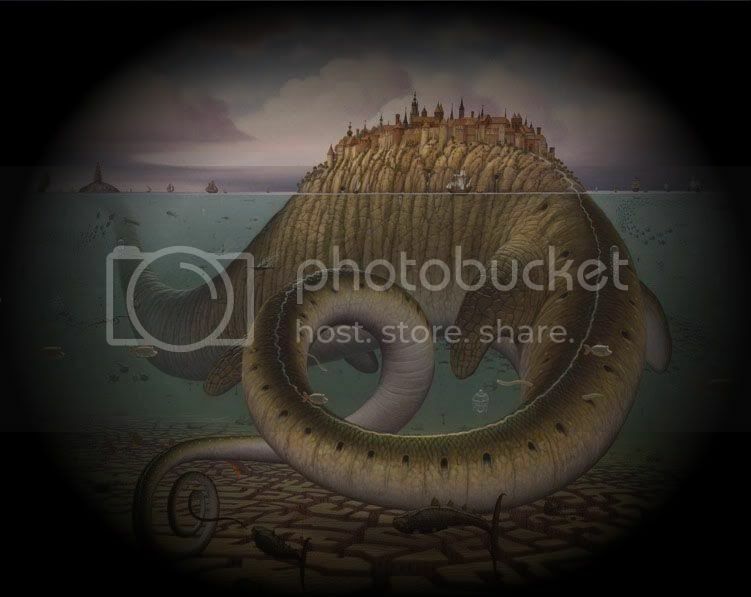 Descriptions of this creature in Argentina's Nahuel Huapi Lake in Argentina vary from that of a giant water snake with humps and fish-like fins to a swan with a snake's head. Witnesses estimate its length at anywhere between 15 to 150 feet. Selma. Lake Seljordsvatnet in Norway is the site of eyewitness accounts of this whale-like creature since 1750. This Official Websitedetails many of those accounts. Ogopogo. Native Americans called it N'haaitk, and it makes its home in Okanagan Lake in British Columbia. Many accounts are related at Unpublished Stories of Ogopogo.